An essential item for young babies as this is where most heat is lost. Important for summer to protect your baby’s head and face from the sun, also prevents overheating. Always choose a hat that will stay on and covers ears but avoid anything that may be uncomfortable. A hat that has ear flaps and ties under the chin is a good choice for young babies. These are worn under a stretch suit for extra warmth and are normally short sleeved. There are those like miniature T shirts and those which fasten between the legs like a body. The T shirt kind is much easier to take off and makes nappy changing less fiddly. However, those that fasten between the legs are warmer in the cold months and tend to catch the worst of any nasty leaks which would otherwise go straight into the stretchsuit. Whatever you choose, remember to look for a wide neck or fastening at the top to help you get them on and off easily. Popper fastenings between the legs are definitely easier to deal with than buttons as most babies wriggle about a lot when they are being changed. Cardigans are an essential item with a new baby as they will tend to need one on at most times. Jumpers are more difficult to get on/off a young baby but if you do buy jumpers choose ones which button on the shoulder to make life easier. Look for something soft, preferably without overly fluffy wool, so that your baby isn’t irritated by it. Dark colours may look smarter for longer. Jumpers and cardigans tend to get stained around the neck from dribbles and feeding and white or pastel wool will show the marks. 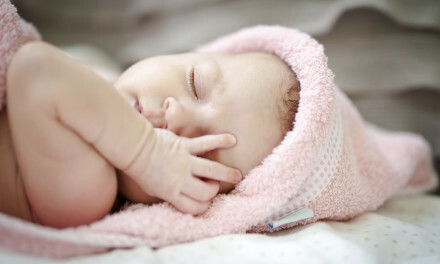 Newborn babies will usually spend quite a bit of time in sleep suits and so will not require many pairs of socks, except to match their outfits. Older babies will delight in pulling their socks off, so ones that are quite stretchy to grip the foot are a good idea. Longer socks that pull up to around the knee also tend to stay on longer. These are soft, warm, sock like boots to keep babies’ feet warm. Choose ones that are easy to put on and avoid crib shoes with hard soles that could damage your baby’s feet. Look for those which have elasticated or draw-string tops or your baby will kick them off. Probably an item to avoid buying if you have lots of willing knitters in the family! These are close fitting all-in-one suits which serve as a general purpose outfit for young babies. Normally fastened with poppers down the front and legs for easy access, they can also fasten at the back, have short or long sleeves and with or without feet. Available in numerous colours, designs and materials. Whatever you choose, remember firstly if you intend to have more children you should stick to neutral colours, front fastening is easier for dressing and long sleeved and ones that have feet in will serve all year round. Small cotton mittens with either ties or elasticated wrists these are used for newborn babies to stop them scratching themselves. You may want a few pairs of these because they’re so small and babies tend to pull them off so they get lost easily. Many stretch suits have scratch mittens built in which fold out of the sleeve cuffs. These may be more convenient because they are harder for your baby to take off or lose.